Okay, Mario Kart fans we have good news and bad news. The good news. Mario Kart VR is coming to the United States. The bad news. So far it’s only coming to one location. 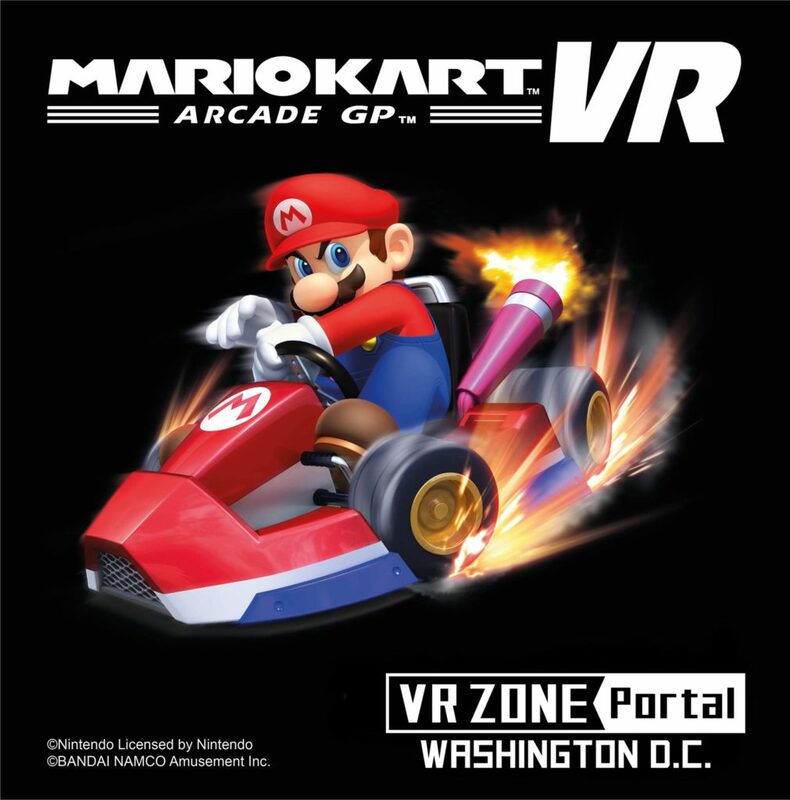 For the next six months, Mario Kart VR will be at the VR Zone Portal arcade in Washington DC. The game made its way to a VR Zone in Shinjuku, Japan last year and The O2 in London this past August. VR Zone is part of Bandai Namco’s arcade division. The company partnered with HTC to bring Mario Kart VR to their DC location. 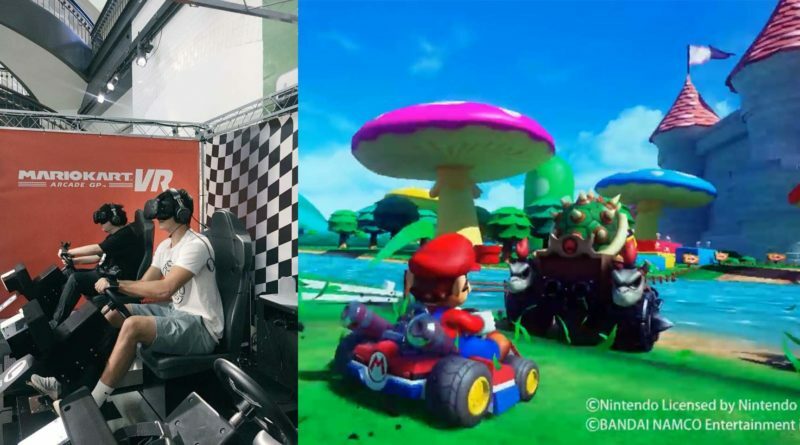 To experience Mario Kart in a whole new way, gamers use HTC Vive headsets and sit in Mario Kart style seats on a motion platform outfitted with a steering wheel and floor pedals. Vive Trackers on their wrists will allow players to virtually pick up powerups and throw things like Koopa shells and banana peels at their opponents. Players can race as either Mario, Luigi, Peach, or Yoshi. The game features one track which takes players from the Mushroom Kingdom to Princess Peach’s Castle. Computer controlled Bowser and Wario will also compete against players. Future of Mario Kart VR ? The game is first come first serve so no reservations are required. It costs 8$ per player and up to four can compete at a time. Two other titles, Argyle Shift and Ski Rodeo, will also be available to play at VR Zone. As of now, there are no plans to bring Mario Kart VR to any other locations, but we’re optimistic. One would assume that once Bandai, HTC, and Nintendo see fans lining up to plunk down money they will have to reconsider. Something like Mario Kart VR would be a huge money maker and be the centerpiece in any arcade. That is until Nintendo comes out with a VR console…..